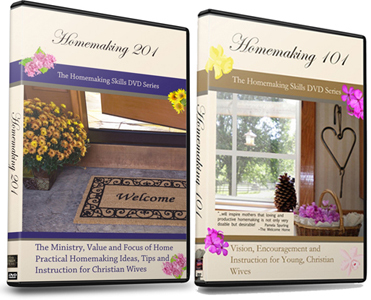 We are getting in a new shipment of Homemaking DVDs! 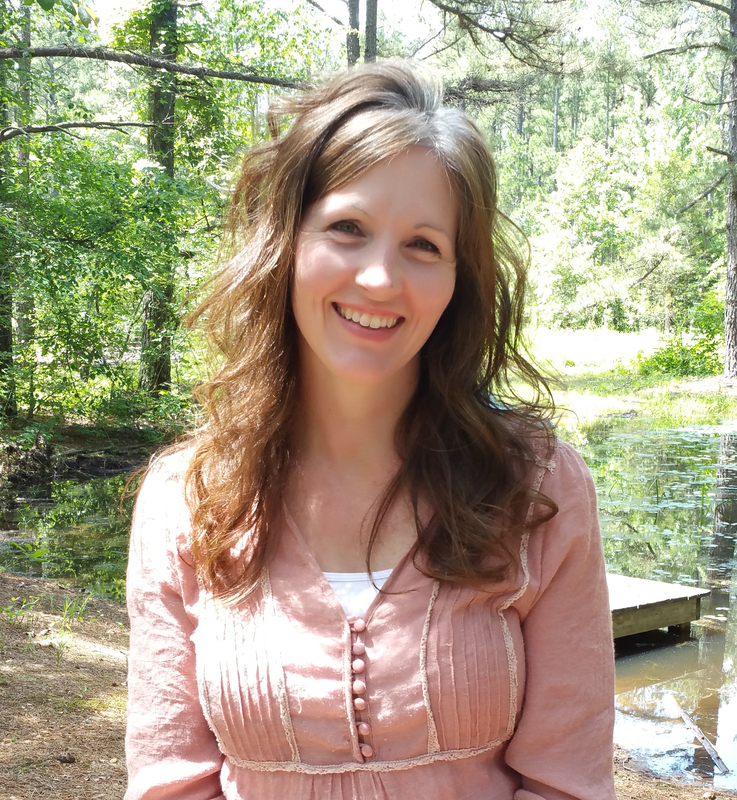 Orders placed today will be shipped by October 10, 2017. 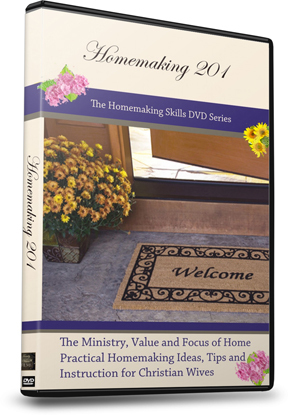 Homemaking 201, the second film in the Homemaking DVD series, encourages the Christian wife to view her home and service to her family as a ministry. 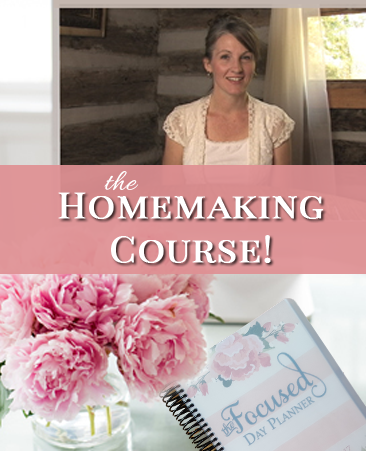 Teaching in such areas as home maintenance, saving money by making homemade products, ministering to family, preparing for guests, organization, chores and projects for children, yard work, learning how to adjust any apron for the perfect fit, easy recipes, and creating a homemaking binder. 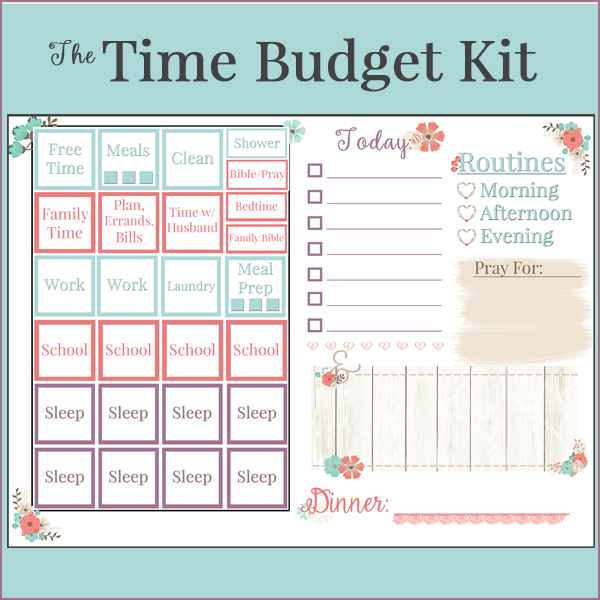 As a special feature, you will also view what an unfocused day verses a focused day looks like as played out in real life, and much more!